The Silent Hill series was once the pinnacle of survival horror in the gaming world. It had a ridiculously creepy setting, dark and complex characters and some of the best stories known to the genre. However, it has since been on the decline; releasing game after game that just kept the series spinning in circles and scrambling to figure out how to stay relevant in an increasingly irrelevant genre. Then comes along the newest addition to the series; a game that goes right back to the series’ roots while also expanding on the setting and offering perhaps the most dark story of the series yet. 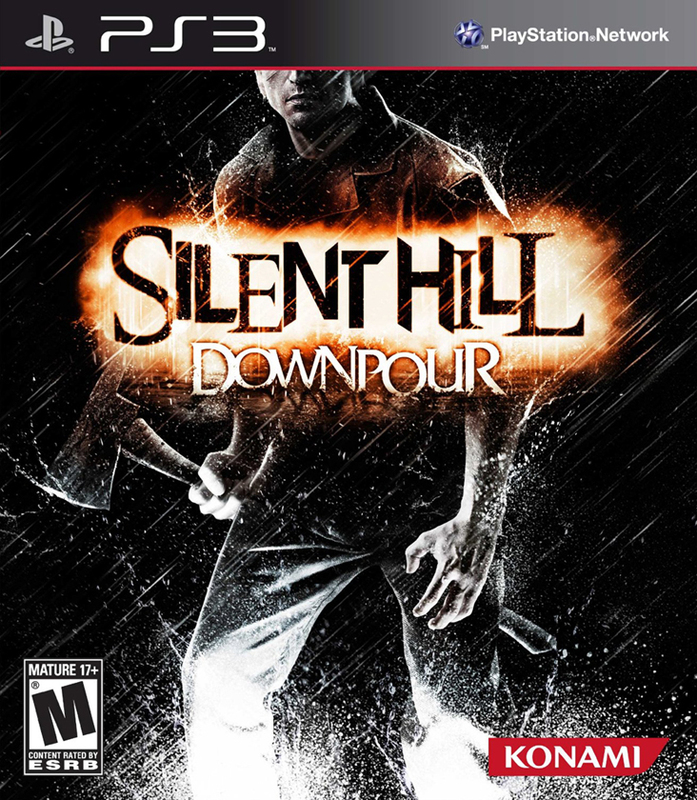 Silent Hill Downpour is the game that finally puts the series back on the map. The game starts with perhaps the most shocking intro of any game in the series. You are Murphy Pendleton, a prisoner at Ryall State Prison, though you don’t know exactly what he is in for. You then witness Murphy murder a man in the showers in one of the most brutal killings I have ever seen in a video game, ESPECIALLY considering it is all done by the player. You have no idea what is going on and you are instantly unsure if Murphy is good or bad. It’s clear right from the very beginning that this game is aiming to shock just as much as the series did originally over a decade ago. When Murphy is being transported to another prison, the bus crashes and we end up in – you guessed it – Silent Hill. It still has that trademark look and feel to it but with some key differences. When it starts to downpour (it’s in the name for a reason) the enemies become even more frequent and hostile. 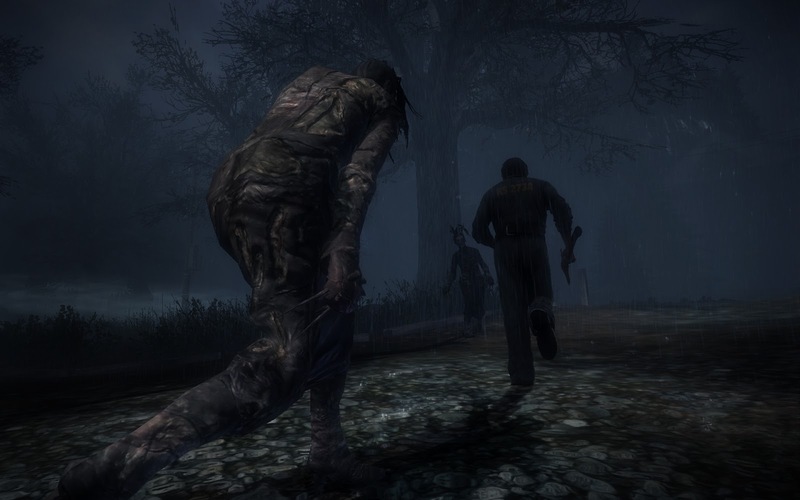 This adds a whole different element of fear to the game, because you know that if you are out in the open you need to run for your life. The fog obscures your vision as you try to escape what lurks behind you, but regardless of where you go, nowhere is safe. Atmosphere has always been a strength of these series and it continues to be here. An important component of the game is when you suddenly shift from the real world to the “other” world, which for all intents and purposes is a living and breathing hell. As soon as you arrive there you are almost immediately being stalked by this glowing spirit ball of death (so I call it) that will destroy you if it catches up. This leads to some surprisingly fast-paced chase scenes in which you are running through corridors, up stairways and knocking over things just to try and impede the progress of your ghastly stalker. These sequences are some of the highlights of the game, as these sudden rushes of speed into the unknown are very nerve-wracking. The one thing about Downpourthat is still perhaps a bit too similar to others in the series is the combat system. It still feels very stiff sometimes and can hamper your style of playing because the controls are too simplistic and slow. You can make the argument that it adds to the intensity of each fight, but more times than not you can be become aggravated because a normal human in that situation wouldn’t move like a friggin’ robot. It isn’t QUITE as bad as it was in past games, but it still feels like the black sheep in terms of features present in this game. This leads to the storage system, which is limited but is one thing that still works really well for the series. 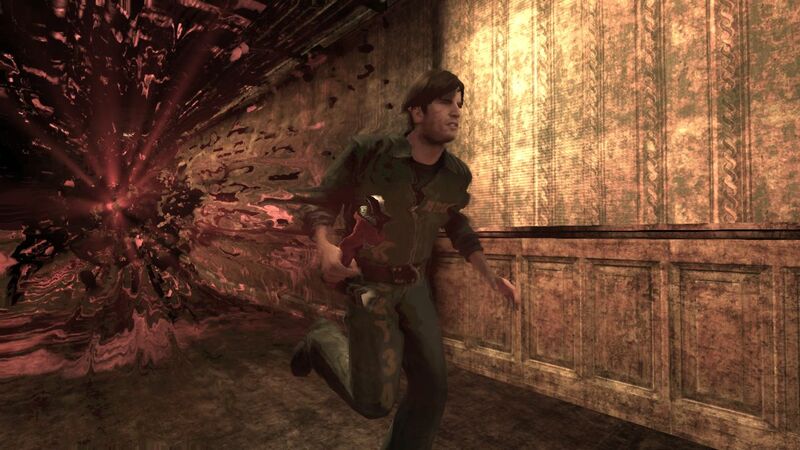 While you can carry a handgun or a shotgun, you will find that throughout most of the game you will be switching between fire-axes, lamps, frying pans, rakes, crowbars, etc., as you desperately try to fend off swarms of Silent Hill’s very own residents. All of these items break, which adds a lot of tension to the combat system. You might be holding an axe and feel as though you have the upper hand, but when halfway through the fight it snaps in half, you are suddenly s***ting your pants. Speaking of s***ting your pants; let’s talk about the evil waiting to kill you in Silent Hill. The most common enemies are these crazed and maniacal women that scream, (I call them Screaming Mimi’s) causing you to be temporarily stunned while they mosey on in and smack you. What is most horrifying about them is that they are, in a way, Silent Hill’s law enforcement. You read that right. While you roam the sick and twisted streets of Silent Hill, you will often hear a police siren in the distance. If the cop car the siren belongs to catches up to you, you are suddenly facing several Screaming Mimi’s at once, along with anyone else they brought along for the ride. Rounding out the cast of demented freaks is a wolf-man, giant mutants, living mannequins and a few other lovely folks that I won’t shed any light on. Wouldn’t want to spoil the surprise. The exploration factor in Downpouris fantastic, and definitely made the town come alive. As you wander around to your next objective, you’ll often come across optional areas that you can access. These areas are also extremely well done, not seeming like thrown together side-missions but rather a fleshing out of the mood and atmosphere the game so expertly crafts. There is one particular instance where you climb through a basement window where the crying of a woman can be heard that was extremely creepy. There are numerous areas like this and also ones that are completely different that are either part of the games many side quests or are just there to freak you out and make you want to run back with your tail between your legs. In terms of plot, this game definitely has one of the best in the series. 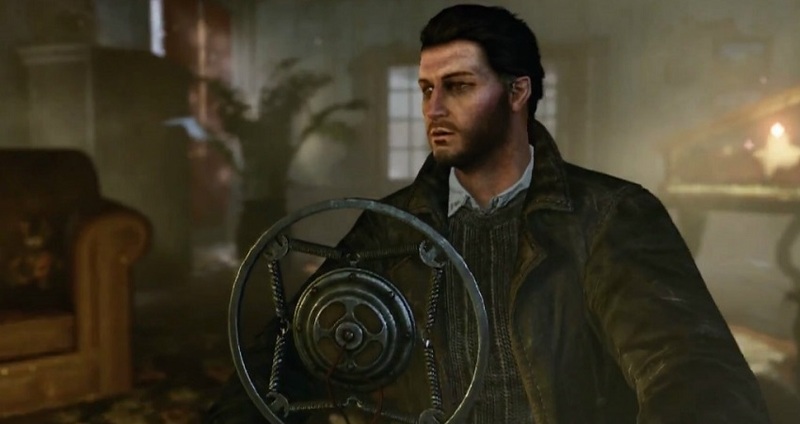 Throughout the game you are learning about why Murphy Pendleton killed that man in the showers, and even wondering yourself if he is a good guy or a bad guy. It’s a really nice twist because not only are you surrounded by evil, but the very character you are using may be evil as well. This is all brought to life magnificently by great writing and terrific voice acting that brings these characters to life and gives them immense personality. It was very compelling putting all of the pieces of the puzzle together in this story and figuring out what all of the scattered plot elements lead up to. I won’t spoil it, but I will say that the payoff does not disappoint. If there is one issue with the game that is more serious than all others, it is the frame rate. Sometimes there will be hiccups in combat that will throw off your timing, resulting in an unfair hit. Other times, you will be exploring a new area and you will experience a few seconds of stuttering. These aren’t huge problems that break the game, but they are definitely noticeable and perhaps could have been buffed out with a bit more development time. There was this one hallway in a building towards the end of the game that caused severe lag whenever I walked through it. Luckily circumstances that severe were few and far between. The load times can occasionally be a bit long, but I only remember sitting there looking at the clock once or twice. 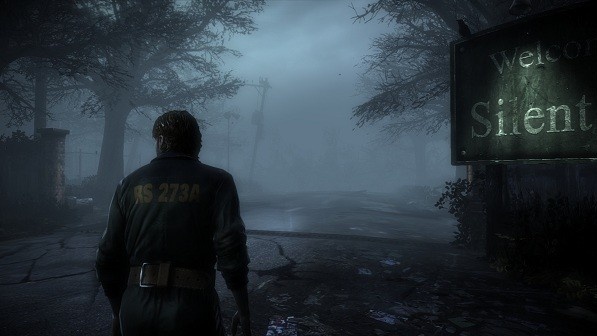 Silent Hill Downpour is a breath of familiar but surprisingly fresh air that rejuvenates the series and reminds all of us what survival horror is truly capable of. Throughout the entire play-through you will find yourself extremely tense and cautious of what waits in the dark or on the other side of the door you’re about to open. It’s these simple but timeless elements that make this series so effectively ominous. Resident Evil, take note; this is how you continue a long-running series, not by stripping it of its personality but by expanding upon it. Downpour proves that this old town still has plenty of thrills and shrills left to offer all those foolishly willing to pay another fun (and horrifying) visit to Silent Hill. 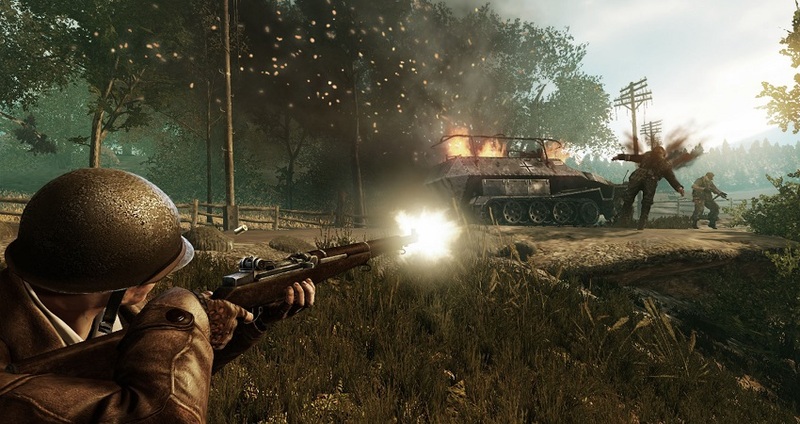 This entry was posted in Gaming, Gaming Reviews and tagged Action, Konami Digital Entertainment, Playstation 3, Silent Hill, Survival Horror, Suspense, Vatra Games, Xbox 360 on February 2, 2013 by Mike Guarino.